Ayrton Senna was born on 21st March 1960 and was a triple Formula One champion and is regarded as one of the greatest ever Formula One drivers. Ayrton Senna was killed at the San Marion Grand Prix when his car hit a concrete retaining wall at 135mph. His death was greeted in Brazil as a national tragedy with the main freeway from the international airport to São Paulo and a tunnel along route to the heart of the city now named in his honour. 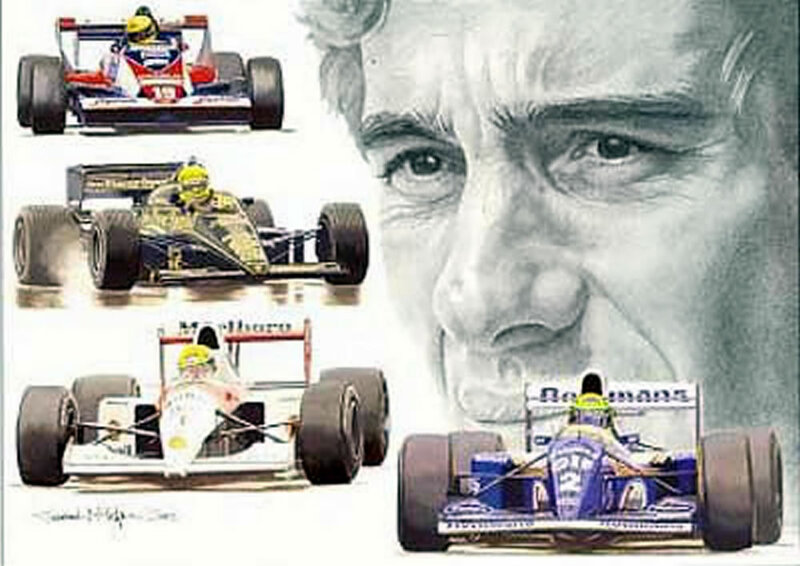 To download and save this autograph of Ayrton Senna simply place your cursor over the autograph and right click on your mouse, then download the it onto your hard drive! To download and save this celebrity autograph of Ayrton Senna simply place your cursor over the celebrity autograph and right click on your mouse, then download the celebrity Ayrton Senna autograph onto your hard drive!